The Me 900 is a streamlined, simplified and more economical version of our award-winning Me 1200 Multifunction Edger. The Me 900 offers the same superior quality and much of the same technology as its "big brother", yet at a more economical cost-of-ownership. The Me 900 features the industry-leading, patented High Curve function for easy processing of today’s popular fashion sunwear and sports frames. The unit also boasts 3-D Drilling, 3-D Grooving and Advanced Shape Editor functions. It includes Safety Beveling and is also available with Click Mode™ software for the manufacturing of Chemistrie™ Sunlenses. Click 'Video' on the right sidebar to see the Click Mode™ software in action! 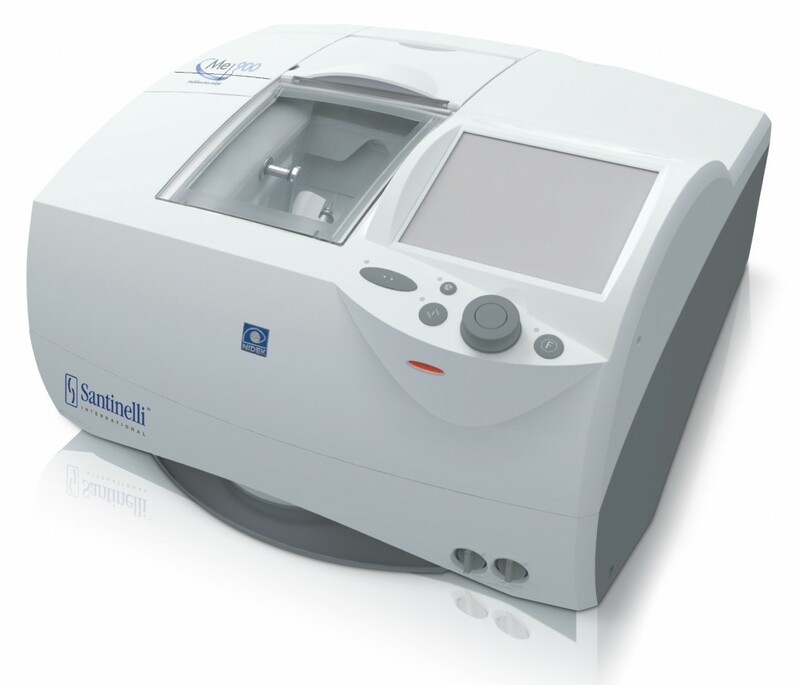 The Me 900 features a Radius Measurement Unit (RMU) which measures the radius of the lens for proper cut-out and calculates “volume” of lens material to be removed. Then it automatically sets the advanced Soft Grind Mode in motion based on lens material selected. The unit’s BMW-style “Jog-Dial” operations provide ease-of-use and precision operation, as does the new graphic design color display.